Throughout its 40-year history, PBS has been a pioneer- taking television content to new heights, bringing audiences to the edge of the universe and back, and encouraging generations of children to imagine the vast vistas of the world around them. The media landscape has changed dramatically since PBS was founded, and PBS has evolved to meet the needs of today's digitally savvy consumers. PBS President and CEO Paula Kerger will share how PBS is finding even greater resonance and impact--both nationally and in the communities it serves-- by embracing new methods of reaching audiences through multi-platform digital video distribution, learning tools for digital natives in the classroom, and educational media resources that are on the cutting-edge of innovation. Paula A. Kerger is president and chief executive officer of PBS, the nation’s largest non-commercial media organization with more than 350 member stations throughout the country. Since her arrival in 2006, Ms. Kerger has made particularly strong commitments to the arts, news and public affairs, high-quality content for education, diversity, and the use of new technology to bring public media into the lives of all Americans. Under Ms. Kerger’s leadership, PBS has been growing its audiences across genres, and platforms. In the course of a year, nearly ninety percent of all television households in America watch PBS, and over eighty percent of all children watch PBS. Six of the top ten children’s television shows are on PBS. And online, viewers stream 188 million videos per month on PBS platforms. Among her accomplishments are the pop-culture phenomenon “Downton Abbey,” which is the most-watched MASTERPIECE program in the series’ history; Ken Burns’s 2012 documentary, “The Dust Bowl”; the debut of such acclaimed children’s programs as “Daniel Tiger’s Neighborhood,” and “Curious George” (the number one show for children ages 2-5 since 2006); new primetime science and arts series; and comprehensive online sites for parents and caregivers. PBS has also developed the new PBS LearningMedia, which provides educators with strategies, tools, and professional development resources to fully utilize digital learning in the classroom. 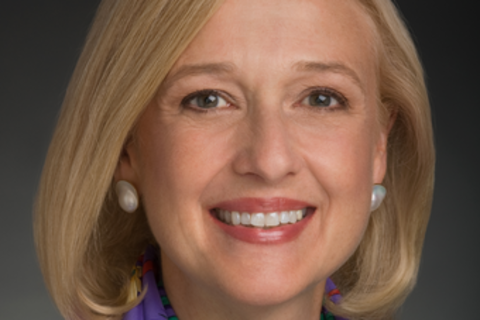 In addition to leading PBS, Ms. Kerger is president of the PBS Foundation, an independent organization that raises private sector funding for PBS, and has become a significant source of revenue for new projects at PBS. Ms. Kerger is regularly included in the Hollywood Reporter’s “Women in Entertainment Power 100,” an annual survey of the nation’s top women executives in media. In 2008, Ms. Kerger received the Woman of Achievement Award from Women in Development, New York. And in 2012, she was honored by Promax/BDA, B&C and Multichannel News with their 2012 Brand Builder Award. Ms. Kerger received her bachelor’s degree from the University of Baltimore, where she serves on the Merrick School of Business Dean’s Advisory Council. She is also a director of the International Academy of Television Arts and Sciences and a member of the board of the Smithsonian Institution’s National Museum of Natural History, and the Elizabeth Glaser Pediatric AIDS Foundation. Ms. Kerger and her husband Joseph Kerger live in Washington, D.C.